Five Senators and four Representatives have been honored in the LEA’s 2011 Report on the Minnesota State Legislature, the most honorees since 2008. Fifteen legislators received an honorable mention. House Honorees: Joyce Peppin (100%), Bruce Anderson, Steve Drazkowski, and Glenn Gruenhagen. Honorable Mention: Senators Chamberlain, DeKruif, Gazelka, Kruse, Nienow, Parry, Wolf, and Ted Lillie; Representatives Bills, Dettmer, Franson, Hackbarth, Lohmer, Petersen, and Runbeck. Legislators were evaluated for their voting records on 21 key votes; ranging from bonding and budget, to social-policy issues, to energy policy, to election-law changes, to tort reform and regulatory reform, to brand-new policy legislation, and efforts to repeal bad legislation. While LEA is pleased to see some evidence of limited government this year with fewer bills being introduced and passed than in any of the previous four years, the overall performance of the legislature still fell short of standards that citizens have a right to expect. 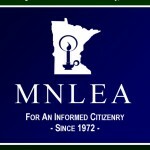 “Since the November 2010 elections resulted in the election of many legislators who campaigned to revive Minnesota’s economy and to foster a more responsible citizenry through a return to conservative principles (such as cutting unnecessary spending, taxes, and regulations), it should have been easier to stop bad bills and pass good ones,” said LEA President John Augustine. Because of this, LEA decided to raise the percent threshold this year necessary to obtain honors, and is relieved to report there were more honorees despite the higher threshold. However, there is still much room for improvement. In its 2011 report, LEA cites the lack of restraint in the legislature’s initial budget proposal, the passage of an unnecessary bonding bill during special session, and the failure to get a repeal of the nuclear-plant construction moratorium or any meaningful tort and pension reforms to the governor’s desk as examples of substandard performance. “It’s true that without the help of a governor, the final product may fall short of the standards, and many good bills fell victim to his veto, but doesn’t lessen the legislature’s responsibility to build popular support for good principles and advance them as far as possible,” Augustine added. Particularly disappointing were the easy passage of two new bills, the concussion bill and the loan-guarantee bill, that will impose more costs and regulations on Minnesotans. In the case of the loan-guarantee bill, after an initial House vote, the new policy was unconstitutionally lumped in with other items in an omnibus bill, an egregious procedural violation that stripped the Senate of its power to consider the new policy on its merits separately from the House. Click this link for a copy of the 2011 report in PDF format.